Here are a few of our New Product line we will be doing in the Handmade in the USA. Hope you like and you can also now purchase them on Etsy, we are getting there too. 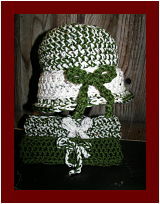 http://www.acreativedesigns.etsy.com/ stop by and check them out. These are just a few of what we will be offering. 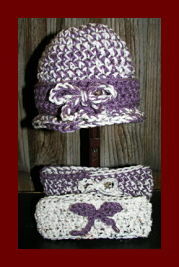 We will also have crocheted flower pins for the hats and hair so they will have a double use too. Hope you all enjoy your Holidays and everyone be Safe, Warm and Creative for the Holidays and the New Year.!!! !